The history of The Center includes over three decades of information. In 1979, we became a 501C3 nonprofit organization, and we were located at 704 Front Street, Brainerd, MN. Renovations were completed and in September of 1983 The Center moved into the old fire station on Laurel Street, Brainerd, MN. Memberships grew as in 1992 there were 560 members. 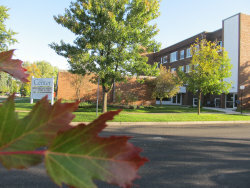 In 1999, Bethany Good Samaritan gifted a building located at 803 Kingwood Street, Brainerd, MN to The Center. Renovations began and shortly The Center moved to their new, current location on August of 2001. Membership and our programs continue to grow. If you are interested in what you see here; please consider joining our over 1,480 members!